Ni John Fru Ndi's last son, Achu Benjamin has won council primaries in Bamenda II council. Achu Benjamin Fru Ndi who is also private secretary to the father won the council primaries in the Ntarinkon Council ward to contest in the upcoming municipal elections as councilor on SDF ticket. 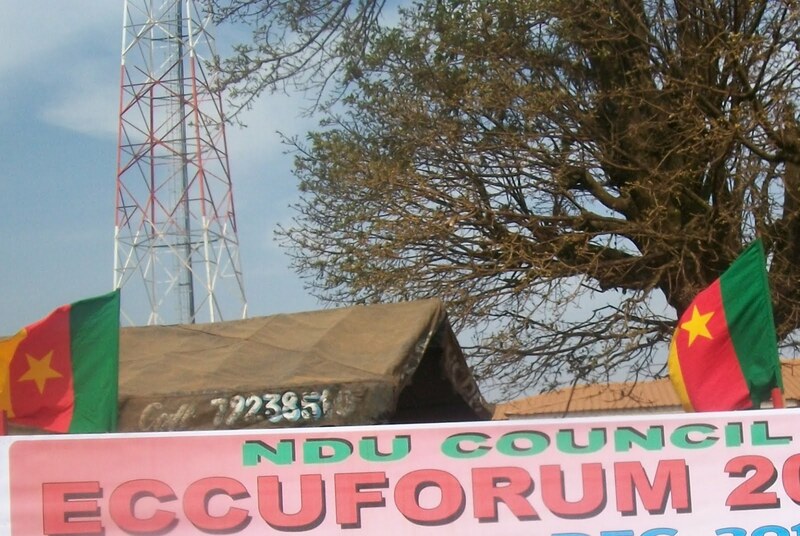 Allegations are rife at that Achu Benjamin Fru Ndi is likely the next mayor of Bamenda II. Achu Benjamin Fru Ndi who decided to step into the father's shoes by taking part in active politics has been described as being dynamic and level-headed as well. Mores so, it is worth mentioning that Benjamin has been very active in the SDF accompanying SDF chieftain in all his major political outings. During the 23rd Anniversary of the SDF last May 26, 2013, Benjamin led a powerful delegation of youth during a match-pass that attracted alot of admiration from the crowd. Analysts had since then predicted that Benjamin would run as Mayor of Bamenda II, yet the speculations have come to pass that he won the council primaries this week. During the May 26 celebration in Bamenda, he told journalists that it is time for youths to take part in the democratic process of this country. This, he has not only been apt in preaching but has moved into the stage by winning the primaries. Benjamin who pundits have long predicted as Fru Ndi's political successor is likely to bring surprises in the upcoming elections. If vote as Mayor, he is likely to be the youngest mayor in the history of the SDF and Cameroon. Benjamin's action we gathered has inspired many youths nationwide who now want to enter into active politics. President Paul Biya has extended the mandate of Municipal Councilors by three months. Paul Biya signed the decree yesterday Wednesday June 26. Municipal councilors have benefited 12 months mandate. This is so because the electoral laws give the Head of state the powers to extend mandate of municipal councilors by 18 months. Voted into office since July 12, 2007, municipal councilors have been enjoying bonus time thanks to President Biya's largess. The most pathetic thing is that Cameroon doesn't have an electoral. As such it is only President Biya who knows when Municipal and Legislative election would take place in Cameroon. With the extension of the mandate of municipal councilors, politicians are aghast that they would prefer to go into elections rather than enjoying bonus times. Some mayors also voiced out their disapproval on the extension of the mandate. The Minister of Sports and Physical Education has been ordered to install John Begheni Ndeh as the Interim President of the Cameroon Football Federation. According confidential sources link to FECAFOOT, the Appeal Committee took the decision to install JB Ndeh today Wednesday 26, 2013 after reviewing submissions from seven regions and another one from JB Ndeh and Madame Marlene to cancel last June 19 elections. According to the hint John Begheni Ndeh will be installed tomorrow Thursday 27, at about 10 am. The elections will be held again. This is what emerged from the meeting of the Ethnics and Fair-play Committee of the Cameroon Football Federation. More so, the June 19, 2013 elections were annulled. According to what we gathered the decision taken by the Appeal Committee is final. John B Ndeh, formerly 1st Vice President of FECAFOOT also declared during a Press Conference with journalists in Bamenda that he the legitimate President of the Cameroon Football Federation. John B Ndeh made the declaration in Bamenda on June 26, 2013. Harping on FECAFOOT bylaw said that he is the Interim President of the Cameroon Football Federation and that as such, he is the exclusive personality authorized to discuss all important matters related to FECAFOOT. To John B Ndeh, last Elective General Assembly in Yaounde was a "Non Event". 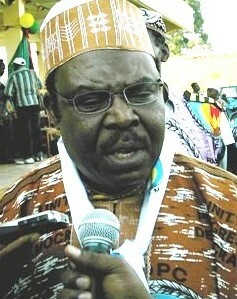 He said that the cacophony was orchestrated by a group of renegade careerist individuals emphasizing that "To put an end to this imbroglio and cacophony created by a bunch of renegade careerist individuals who have blatantly dishonored and made a mockery of State Authority", the Interim FECAFOOT President said "Enough is Enough”. Accordingly, he revealed that measures will be put in place to evict the illegal occupants at FECAFOOT. 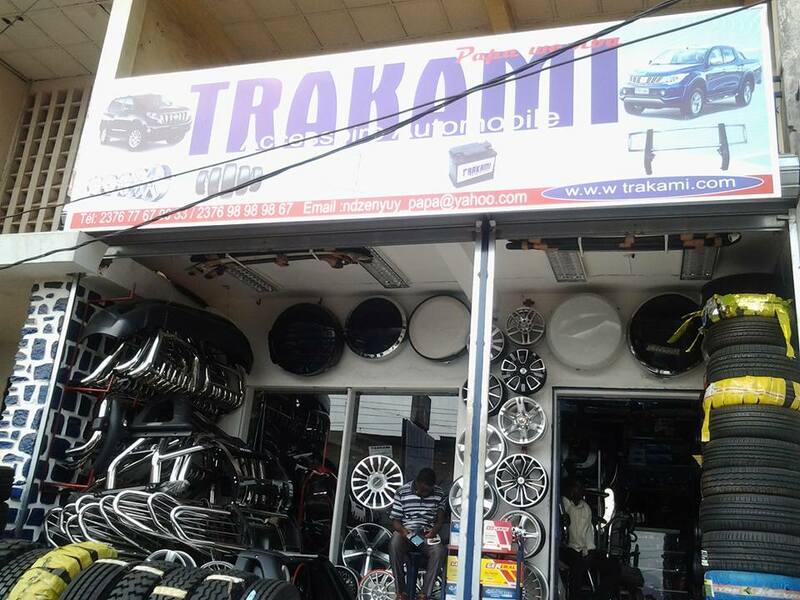 He quoted article 4:1 of FECAFOOT Special Rules and the decision of the CCA, French acronym (Chambre de Conciliation et d,Arbitrage) to buttress his claims. He also added that CCA had earlier annulled all regional elections in the 9 regions and some divisions in the country. He said that until elections are organized in these places, there is on legitimate Electoral College at FECAFOOT “elections that took place on June 19, 2013 without rerun of these elections are null and void” he added. Rumours as to whether Kaba Christopher, Secretary General of the North West FECAFOOT Judas Iscariot-ed JB Ndeh have been rife in the region. However, a school of thought holds that Kaba Christopher played the ostrich given that his name appeared in Iya’s list. Mor so, the population is wondering why delegates from the North West Region didn’t walk out of the hall given that their President JB Ndeh wasn’t present. 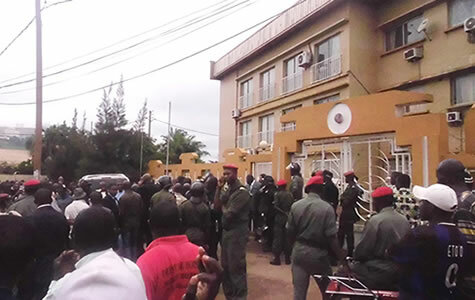 It is also alleged that money also changed hands in Yaounde reasons why some of them who left the North West Region to support JB Ndeh were blinded by flashy bank notes. I would like to start by wishing each and every one of you, on my personal behalf and on behalf of the Cameroonian people, a warm welcome and a pleasant stay on Cameroonian soil, on the occasion of the summit on maritime security and safety in the Gulf of Guinea. It is an honour and a great pleasure for me to welcome so many eminent personalities to Yaounde on this occasion. 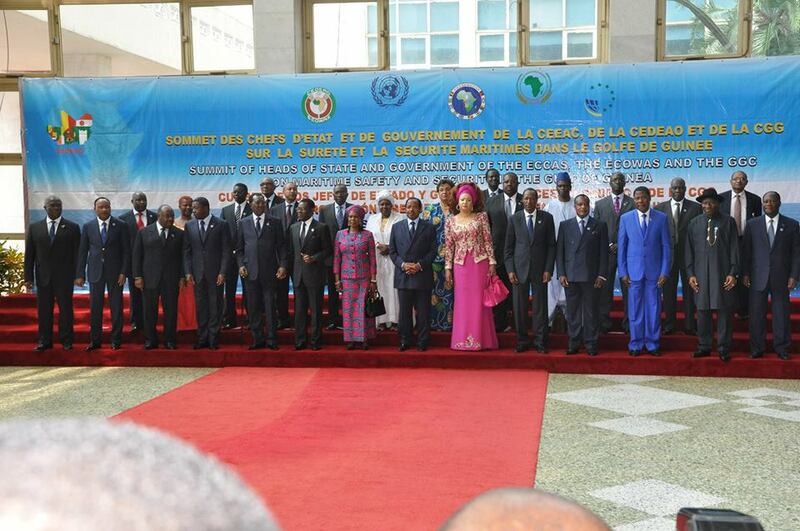 Let me take this opportunity to express my sincere gratitude to the Secretariat General of the United Nations, the African Union Commission, the Secretariat General of the Economic Community of Central African States (ECCAS), the Economic Community of West African States (ECOWAS) Commission, and the Executive Secretariat of the Gulf of Guinea Commission (GGC), for their invaluable support in organizing this summit. Maritime piracy poses a serious threat to the peace and stability of our States. It undermines the people’s development and wellbeing. How can our countries progress if somehow our waters became too dangerous for the free movement of people and goods? How would our towns be safe if pirates flood them with drugs and weapons? How can we navigate the Gulf of Guinea waters in constant fear of being killed or taken hostage? That is unacceptable, for the Gulf of Guinea would then cease being a safe bosom on Africa’s shapely and curvy body, to become a hellhole. Our response must be firm if we must avert a decline in the volume of goods that transit through our maritime space, and if we do not want to jeopardize our development and global balance. Indeed, the ocean is not merely a vast expanse of water; it is also an energy source. The ocean is not merely a maritime route for goods transit, but also a reservoir of mineral, plant and animal resources. Seas and oceans are wonders for humanity. From time immemorial, they have enabled people to travel, to trade and to generate wealth. They have enabled people to share, learn about one another and fraternize. For all these reasons, our maritime space cannot be left in the hands of unscrupulous individuals of organizations whose agenda is to transform it into a predators’ haven. We will not allow these pirates to wreak havoc in our waters or turn them into a lawless place where seafarers would be in danger. Failing to respond would be tantamount to accepting that at some point, there would be no more maritime travel. We must assume our responsibilities to stop Africa as a whole and the Gulf of Guinea in particular from falling prey to pirates, once and for all. We must respond unfailingly and unflaggingly, to restore peace and quiet of yesteryear in our waters. For my part, I am convinced that there can be no development without peace and security. That is all the more so for a region like ours where national economies still depend largely on the people’s capacity to generate wealth; generating wealth also means having full control over our maritime space. Such is the spirit of the United Nations Security Council Resolution 2039 of 29 February 2012, which urges our States to convene this joint summit. Cameroon is all the more elated as the United Nations shares this concern with it. The Security Council has prepared the roadmap for this summit, which is as follows: devise a regional anti-piracy strategy in cooperation with the African Union and with the support of regional offices of the United Nations Organization’s Secretariat General in West and Central Africa. I am pleased to welcome you here, in Yaounde, so that together we can brainstorm and find appropriate solutions to this thorny issue. I am also very pleased to announce that, in the face of the recurrent and destabilizing nature of maritime piracy, the Gulf of Guinea States have not folded their arms, but rather, have taken several initiatives. In ECCAS, a sub-regional maritime security body has been set up. This is the “Central Africa Regional Maritime Security Centre”. A maritime security funding mechanism has also been established. In ECOWAS, a maritime strategy is being prepared. There is also a programme aptly christened, “Operation Prosperity”, under which Nigerian and Beninese security forces conduct joint patrols on the coasts of Benin. I seize this opportunity to pay tribute to the action taken by my brother, President BONI YAYI, and hail the remarkable work accomplished by the Cotonou Preparatory Ministerial Conference, whose conclusions laid the groundwork for the draft regional strategy tabled before us today. I should also commend various international partners for their capacity building support provided us in the area of maritime security. I am referring in particular to the United States, the People’s Republic of China, France, the European Union and Interpol. In the same vein, I would like to express my satisfaction with Japan’s announcement, at TICAD V, that it will support efforts to combat insecurity in Africa. Gulf of Guinea countries are witnessing a boom, with a strong economic growth, a well-educated élite, a young population aware of the stakes. But our determination, our national and regional capacities, as well as our efforts to eradicate piracy seem inadequate to prevent or effectively stamp out the threat. Therefore, collective effort is a must, for us to avoid a situation where, once eliminated in one country or area of the Gulf of Guinea, this scourge would rear its head in another. While commending the achievements of various maritime military operations conducted here and there, I must underscore the need for a holistic approach to piracy. This would help us come up with innovative solutions, commensurate with the context and scale of this scourge for States of the region and for the international community. It is thus crucial that the response developed should be security, governance and development oriented. Failure is not an option to us. In no distant future, the sea will be the new site for industrialization, when land would have been occupied. The sea will possibly be the Eldorado where future generations will go and develop new intelligence for humanity. Definitely, we face a huge challenge, but we cannot and do not want to shy away from it. Together, we decided to meet here to assert our firm determination to muster all our energy against this scourge. In so doing, we would forge, among Gulf of Guinea neighbours, an area of security and prosperity. Lastly, I would like to say how important it will be for the decisions and recommendations adopted during this summit to be effectively implemented. Our sacrifices will not go in vain. Our efforts will bring peace, stability and prosperity to our countries and serve the interests of our peoples and those of our partners worldwide. It is with this conviction that I now declare open the summit on maritime security and safety in the Gulf of Guinea. 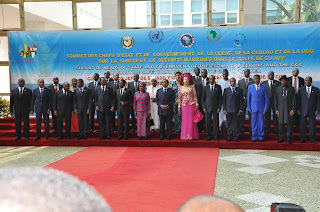 The 13 head of states, one Vice President who attended the Gulf of Guinea have not put in place a binding accord to fight piracy and other crimes in the Gulf of Guinea after spending two days in Yaounde-Cameroon. Expectations were high at that the Yaounde declaration will set the pace for the setting up of a joint-force to ensure security in the Gulf of Guinea. Yet, contrary to public expectations, the leaders left Yaounde after haven only agreed to create an inter-regional center to coordinate the fight against rising maritime crime, which would be hosted by Cameroon in Yaounde. Insecurity has been on the rise since last year with the International Maritime Bureau (IMB) reporting attacks on nearly 1000 sailors. More so, the Gulf of Guinea also serves as medium for all types of crimes. The most common include fuel Bunkering, kidnapping, human and drug trafficking. With the second highest oil reserve in the world, the Gulf of Guinea it should be recalled also harbours the largest biodiversity hot spot in the world after the Amazon. On the other hand, Chadian president Idriss Deby, the chairman of the Economic Commission of Central African States (Eccas) said there was “no price too big for security”. Eventhough the Yaounde Summit ended with no binding instrument, the participants however agreed to raised funds to combat piracy in the Gulf of Guinea. Fonkam Azu’u ELECAM Boss has surely received the highest number of petitions and complains from Donga Mantung Division. A school of thought has been projecting the notion that it is the politics of acrimony that has orchestrated the numerous transfers and dismissals of staff. Yet it is alleged that apart from that the staff of ELECAM in Donga Mantung Division are experts in petition writing, slanders, blackmail and character assassination. Moreso, it is also alleged that office issues are often discussed in bars around town. In Nkambe for example, the situation has been preoccupying. 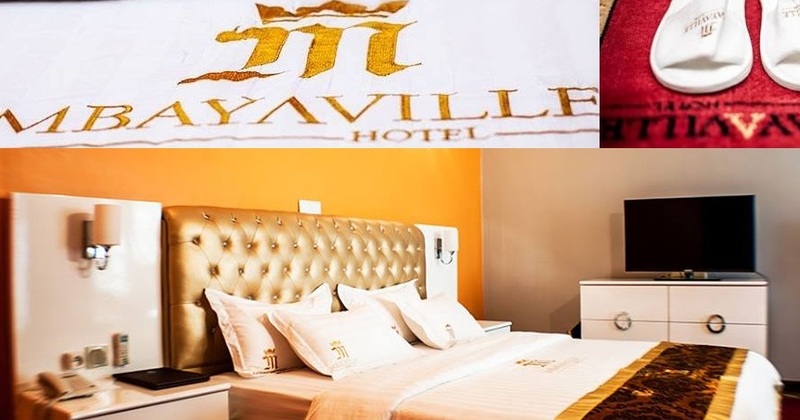 The fact that in the Divisional headquarter Nkambe there is the council and divisional branch; it is resulted to conflict of interest, blackmail, slanders and backbiting. Within a year, Nkambe Council branch has changed four different council heads. The first was transferred to Tubah amidst controversies, the second was dismissed during a meeting with ELECAM Boss and other stakeholders, and a third person was appointed to ensure interim yet has just been replaced. Confidential sources hinted that in order to remedy the situation, two-third of the staff of Nkambe Council Branch and Divisional branches of ELECAM will be moved to different locations. According to the hint some of them will be transferred to Misaje, Ako, Nwa and Kumbo. This is so given that ELECAM has been transformed into a sinkhole for character assassination. The latest victim we gathered is a certain Umaru Abubakar who was appointed as the interim council head but was undercut by his colleagues. Since blackmail is always against the strong, it is alleged that within five months he succeeded in registering over 23.000 voters. Yet, was not confirmed as ELECAM council head given that his colleagues had petitioned him reasons why members of the Nkambe Council voters’ registration commission were taken aback. To Nfor Baleri, representative of the mayor in the commission, Umaru was the best staff. Mr. Afor, representative of the CPDM also told this reporter that the young man was hard working but had huddles from his office colleagues. However, Umaru Abubakar alleged was accused by his Divisional Boss on allegations that he wanted his post and life. The issue we gathered has torn ELECAM into pieces in Nkambe. It is even alleged that the information was spread by a watch night yet all attempts to get to him and the Divisional head to get their own side of the story has not been fruitful. Don't they say "little things matter?" and that little drops of water make up an ocean too? True to the adage the Cameroon Football Federation is seemingly a state within a state. In fact those who have been following the crisis at FECAFOOT would certainly agree that the last episode is yet to be staged to the public. It is very amazing the way things are unfolding at FECAFOOT. In fact, our context is just ours. However, what I know is that Popaul is a man of action when it comes to someone trying to fight the state. That is when he shows his true colours. When Iya was arrested Cameroonians all had in mind that they were three contenders for the job. But one of the major contenders to Marlène Emvoutou was arrested on Wednesday morning, the day of the elections. Two contenders were left in the race even though delegates were blocked from entering into the hall. The major contender for the job was now JB Ndeh. As tempers flared, Prime Minister Philemon Yang stepped in to propose a consensus list. But from what we gathered it was rejected. But since Paul Biya (Popaul) hates commenting on commentaries, he will just give a Presidential knock and many heads will roll at FECAFOOT. Popoul is unpredictable. Marafa thought he was untouchable. So is Iya too who haven been arrested is still able to manipulate his supporters from prison. Power is like sea that while it is flooding other shores, it is leaving behind plains of sand. This is the hell that pro-Iya have put him into. To be candid, how can someone who is held in detention be elected to hold a post of responsibility? Sources say Iya Mohammed was reelected as President of FECAFOOT from his prison cell in Kondengui. From the cacophony it is apparently clear that "this country really get fever". If Iya from prison could win an election and not just winning but got 97 votes out of 98, then there is something wrong somewhere. Did someone also said this country is managed from the Kondengui Prison? It is strange that someone that has been detained for fraud and mismanagement gets elected into public office the night of the day he is being transferred to Kondengui. It doesn’t make sense but like I said “I don Bad”. This is purely a Cameroonian context. Even CRTV was mute over the issue today morning. It very certain that the mafia that is managing the affairs of football in Cameroon is so powerful that even instructions from the Prime Minister means nothing to them. Then I may agree with critical minds who say that position of President of Fecafoot is too lucrative to be occupied by a “second class” citizen “Anglophone”? 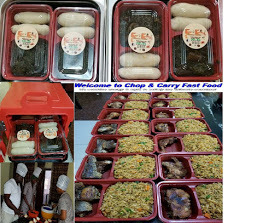 When there are more exceptions than the rule, surviving the rat race becomes tricky. In accordance with article 39/2 of the laws governing FECAFOOT, JB Ndeh would have stepped into Iya’s shoes as 1st Vice President. But yet since the mafia in football is even so strong that it is challenging the state, the unexpected had to happen. The Emergency Committee had on Wednesday proposed that JB Ndeh should take over as Interim President. Aside from senility and the already demonstrated senatorial subservience to the executive, with the palpable result that the senate could be a more retrogressive rubber-stamp chamber than the national assembly, the one positive consequence of the putting in place of the senate in seventeen years of moving “progressively” could be the early tabling if Bills. Cameroun has been most notorious in lawlessness in the conduct of state business relative to legislation in particular. Whereas by the law Bills are required to be tabled weeks before the commencement of a parliamentary session, even the deaf know that even the finance Bill has often been tabled in the last week of the session. The result has been that as many as 14 ministers at times have appeared before the Commission on Finance per day to “defend” their appropriations. Damn too farcical! Now that the senate is in place, and must, as per the constitution, examine Bills enacted by the national assembly, the executive must table Bills early enough for examination by the national assembly. Where this new dispensation may be wholly superficial or completely watered down would be where the executive avails itself of the atavistic constitutional prerogative to declare the examination of a Bill by parliament a matter of urgency. Even then the repeated resort to the procedure of urgency would be abusive and render the prerogative un-exceptional. It is submitted that any conspiracy between the two groups of parliamentarians to betray the confidence reposed in them by the people to legislate to the betterment of the nation may not be countenanced this time around. They may wish to apply their minds to the fact that biometric registration may “progressively” mature into a fatal bullet! Fatally determinant!